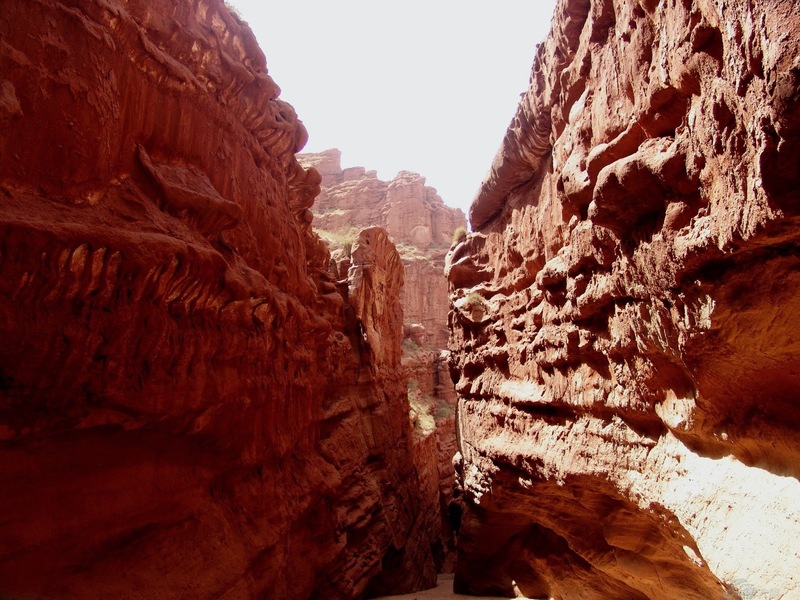 The puzzling Tianshan Grand Canyon is also known by the name - Keziliya Grand Canyon. 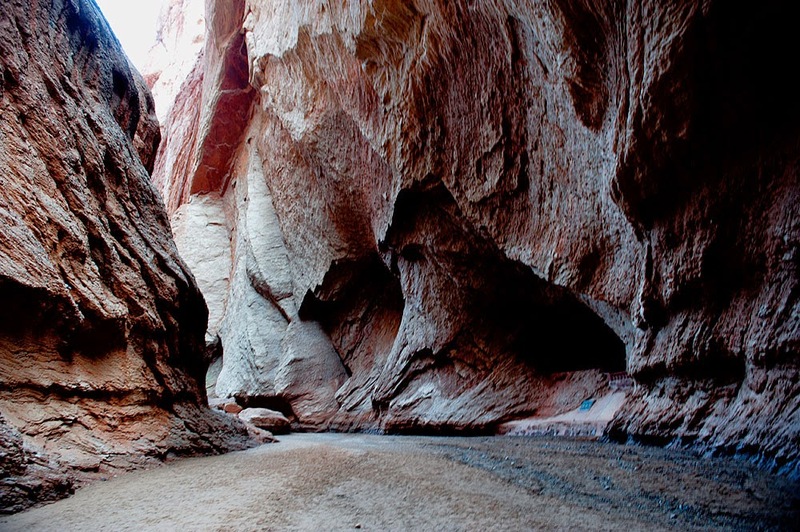 It is a canyon which is located near the Keziliya Mountain, a main branch of the Tianshan Mountain. 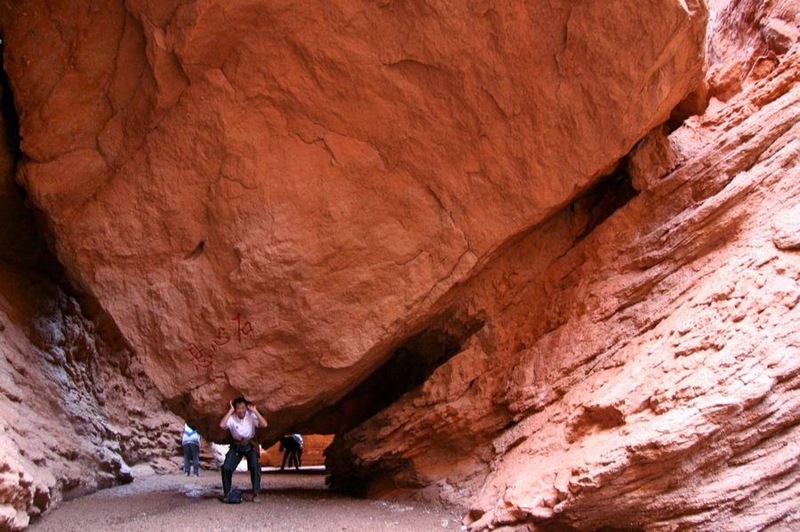 This canyon was formed completely by the wind as well as rain for more than many billions of years. The term "Keziliya" refers to red cliff in Uighur language. It is nearly five and half kilometers long from east to west. The mean depth of Grand Canyon in Tian Shan Mountain is one thousand six hundred meters. The canyon is rugged one, but grand in all sense. The mountains of canyon have a reddish-brown appearance. One can find many trenches as well as gullies here. Certain spots are much narrower and difficult to pass. The mountain peaks here are multi colors. There are many stone formations seen here. They are much strange shaped. 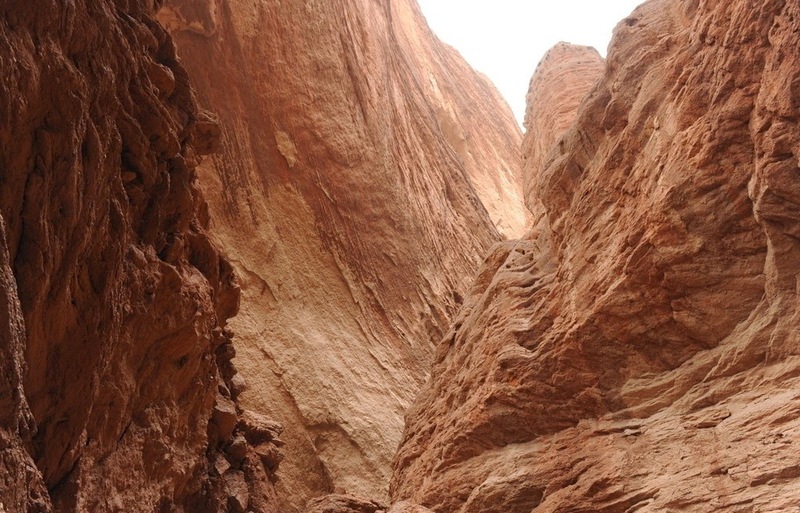 There are many huge sandstone walls in Grand Canyon of Tian Shan, specifically at a distance of seventy kilometers north of Kuqa located in the Xinjiang Uygur Autonomous area in land of China. This grand canyon which is formed because of erosion by the flash flooding is just a smaller than that in Arizona. It is featured by rocks that are oddly-shaped, pinnacles, deep ravines and rugged cliffs. 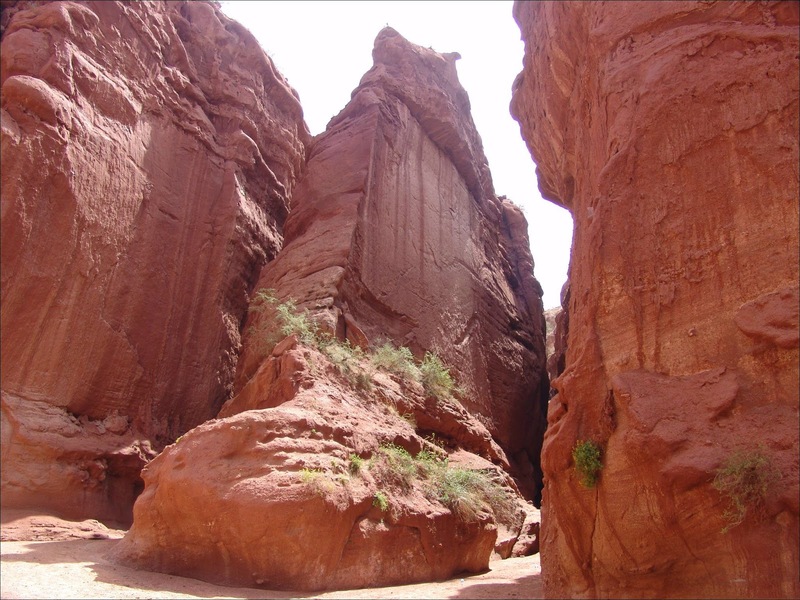 This canyon possesses several other names too such as sacred snake valley, swan peak, sky worth valley, Red Cliff, skyscraper Cave Valley, lover’s peak, rock of tenterhook and many more. The canyon has a specialty. Its width differs along its length. The width of its broadest point is nearly one hundred and fifty feet while the width of narrowest spot is just 1.3 feet. In the narrowest spot, it is just barely sufficient for one person to squeeze through the sideways. There are various cuts in Grand Canyon of Tian Shan. The deepest one is approximately one hundred meters in terms of depth. Nearly one thousand four hundred meters into this great canyon, and at a height of thirty five meters, there is a cave of “a Thousand Buddha”. This fantastic cave was constructed in the period of the Tang Dynasty specifically from 618 to 90. The murals found at this spot are really precious one for the research study to its art history and also history of China. When sun shines over the mountains, one can view bunches of burning fires here and therefore this canyon is also known by the name – Red Cliff. While one stands at the bottom part of Tian Shan Grand Canyon, a feeling will be attained as if steep cliffs of canyon will fall down on the person any moment. Thus it will make the person feel dizzy. This canyon is therefore called as mysterious canyon. Travellers to this spot are generally scared of fogs and weird sounds. At canyon’s bottom part, knocking or walking sounds can be heard usually. Certain fogs in ball shape can be commonly spotted rising over cliff tops. Scientists haven’t yet found anything on mystery facts. Carry essential clothes that can support well during the visit. This spot can be visited any time. The best is to avoid the foggy season. Flight, train and bus services are available to Xijiang from any part of the world. Visit the mysterious canyon and explore more!